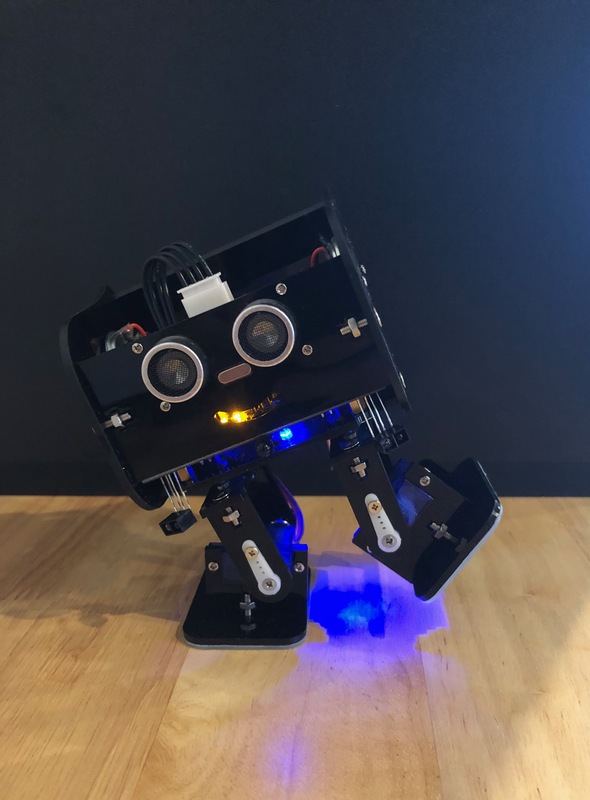 Besides serving as the DWRL’s future mascot, DWRLy the bipedal robot serves as a prototype for Arduino-based socially assistive robots (SARs) for people with developmental and cognitive disabilities. My project in creating DWRLy is to experiment with the different functions for which an Arduino can be used in creating SARs—including bipedalism, humanlike movements such as walking and dancing, and responsiveness to human interaction by being able to follow someone’s guiding hands. Since most SARs are programmatically complex and expensive, Arduino technology could offer a more adaptable and accessible way to broaden the use of SARs.